Some people live by the philosophy “what you don’t know can’t hurt you”. When it comes to the crawl space under your home, this philosophy is a bad idea. 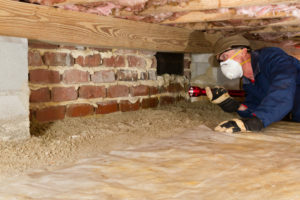 Problems in your crawl space may negatively affect the health of your family and the health of your home. The number one enemy of your crawl space is water. If left untreated, a damp crawl space, or worse, a wet crawl space, may become a breeding ground for mold. 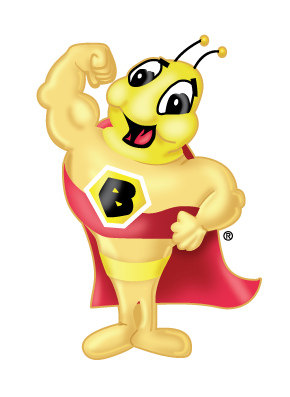 High humidity in your crawl space can damage wood and insulation as well as attract termites. The first problem to look for is visible water. If there’s standing water in your crawl space, you have either a drainage problem or a plumbing leak. You need to fix this immediately. Having a pond under your home is a bad, bad idea. If you have noticed a recent increase in your water bill, a plumbing leak is likely the cause of the water in your crawl space. A plumbing inspection by a licensed plumber is the best way to determine if the source of the water is from a plumbing leak. If a plumbing leak or sewer leak is found, it should be corrected as soon as possible. Drainage problems are the other main source of water in a crawl space. Poor exterior drainage can allow water to enter the crawl space through the crawl space door, crawl space vents, cracks in the foundation, or holes in the foundation. Poor exterior drainage is often caused by clogged rain gutters, downspouts emptying near the foundation, or poor lawn grading and drainage. Often a crawl space is dug lower than the exterior grade and acts like a mini basement with a dirt floor. 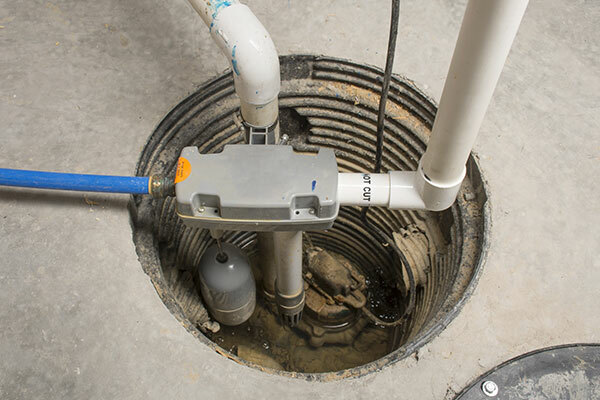 In these situations, the crawl space may have interior drainage problems when the water table in the soil rises above the floor of the crawl space. A inspection by a waterproofing expert is the best way to determine the source of water in a crawl space from drainage problems. Eliminating the water from entering a crawl space could be as simple as cleaning rain gutters and extending downspouts away from the foundation or as complex as installing a full perimeter drain system and sump pump in the crawl space. B-Dry Systems of Louisville Inc. has assisted thousands of customers dealing with wet or damp crawl space problems. We would be pleased to inspect your crawl space and provide you with a no cost, no pressure quote to remedy any problems you may have.